At a joint family Thanksgiving hosted by Brooke's Grandfather, Tom and Brooke announced their plans to get married, which was eagerly awaited by all. Brooke showed off her engagement ring which had belonged to Tom's mother, Joanna ( ). 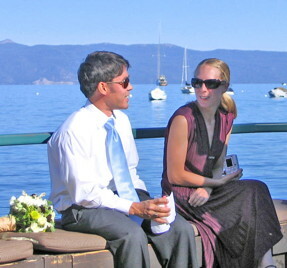 They got engaged over Google Chat while Brooke was working in Maryland and Thomas was in California. Please follow the links below to find information about the wedding and reception.